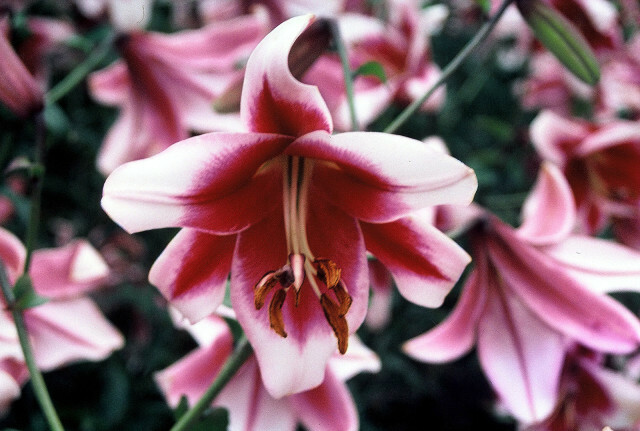 Silk Road - Freeman's most popular Orienpet lily has huge white flowers with deep, crimson-pink throats. Flowers appear over an extended period, as there are so many buds on each stem. Powerfully fragrant. 4-6' tall or more when established, mid-July to early August. A certain ancient text recommends we consider the lilies in the field. How about we consider lilies in the field, garden and containers, too - why not? 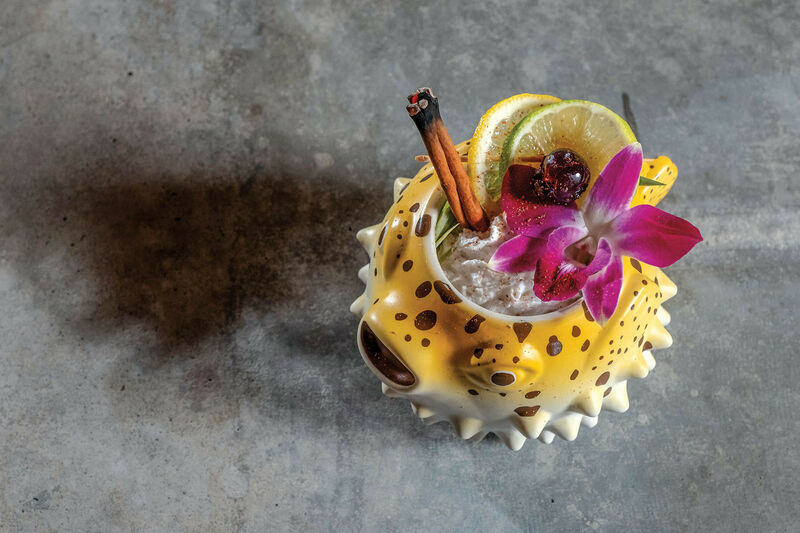 Lilies are versatile garden plants, providing glorious and often fragrant blooms from June through August in the Pacific Northwest. As it happens, the Portland metro area is home to one of the world’s top lily breeders: Judith Freeman, geneticist and owner of The Lily Garden in Vancouver, WA. 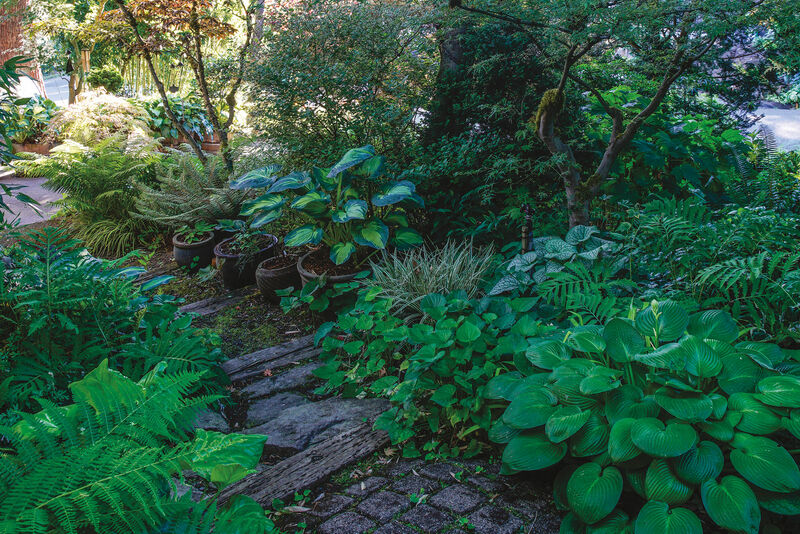 Freeman has probably done more to promote and improve lilies for Pacific Northwest gardens than any breeder in the world, from her early work over 30 years ago as a geneticist for Oregon Bulb Farms through her current breeding work at her own nursery. Scherezade – Freeman's very first Orienpet hybrid, Scherazade is rock-solid, flourishing in all variety of climates and conditions. Deep red recurved flowers edged in gold, shading to white margins. 4-6' tall, up to 8' tall when established, mid-August. While most lilies today are bred for the floral industry (emphasizing tough, shippable foliage and flowers), Freeman has been steadily working to develop lilies that are disease-resistant, heat tolerant, persistent in the garden, fragrant and exquisitely beautiful. 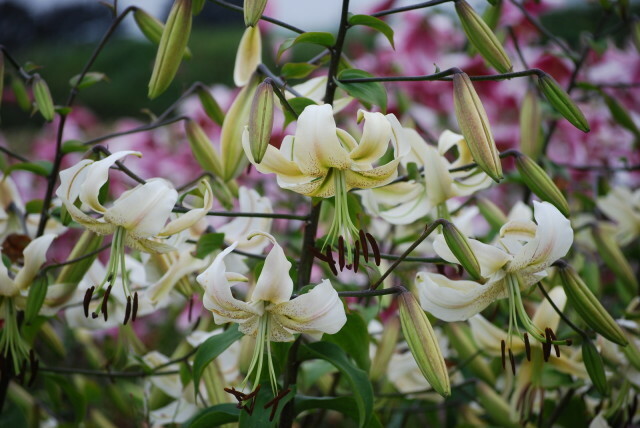 Perhaps her greatest contribution to the world of lilies was the hybridization of the Orienpet lilies: a group of hybrids created with Oriental and trumpet lilies that are considered to be better than both parents. Reaching between 4-8 feet in height, Orienpet lilies exhibit an extraordinary range of colors including red, orange, burgundy, gold, white, peach, pink and soft yellows. The flowers of Orienpet lilies are also usually fragrant, with a heavy, luscious, peaches-and-cream scent that wafts far and wide. Silver Scherezade – A luminous, moonlit version of Freeman's own ‘Scheherazade,’ its blossoms shade into moonlit cream in bright light and develop a blush of peach pink when night temperatures are cool. Delicate rose whiskers. A tough plant, standing up to hail, frost, harsh winters and hot summer weather. 4 to 6 feet, mid August. But the clincher is that the Orienpets are so easy to grow. 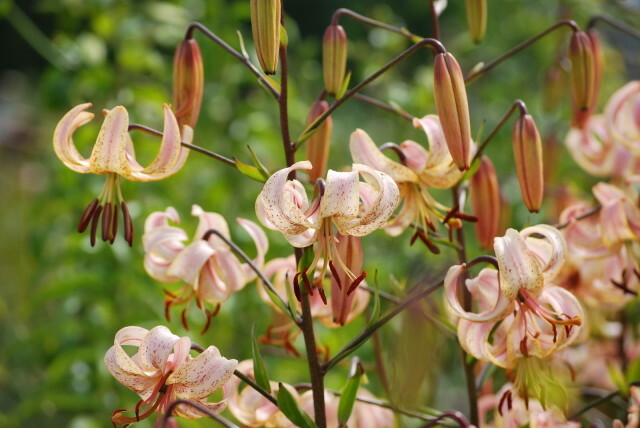 Some lilies, especially wild-type species, can be fussy, requiring either summer dry dormancy, perfect drainage or cool temperatures. Others – such as the lovely L. formosanum – are highly susceptible to virus and peter out after the first year. 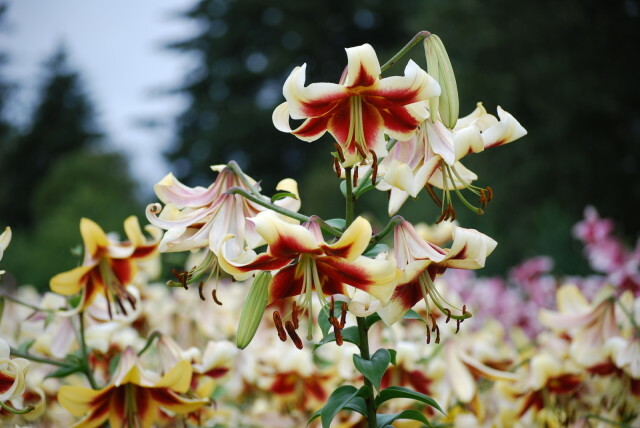 According to Freeman, any of the Asiatic, Oriental, Trumpet and Orienpet lilies she sells are easy to grow in the Pacific Northwest - and can tolerate more challenging conditions all over the country, including heat, which often fells lesser lilies. Vigorous Orienpet lilies are especially gratifying for beginning gardeners, producing huge, stunning flowers in exchange for little more than good drainage, a half day or more of sun, and adequate water up through their bloom period and through foliage die-down. 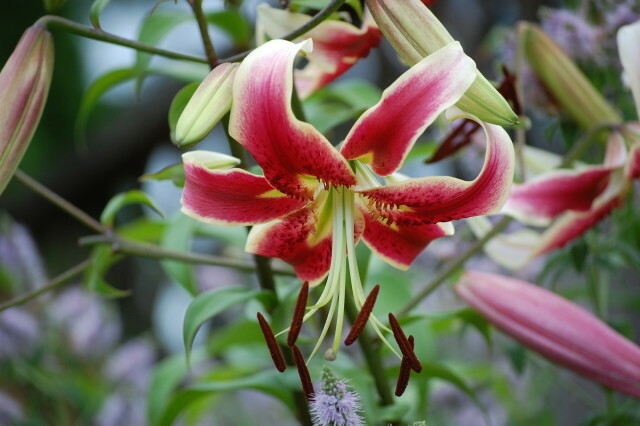 Miss Libby – Named for a young woman who went through lymphoma, this lily is tough, disease resistant, and has fragrant, soft yellow blossoms painted inside with a striking wash of bronze-tinted cherry red. All proceeds from the sale of this lily are contributed to the American Cancer Society. 4-5', up to 7' in perfect conditions, late July. “These lilies are not fussy. 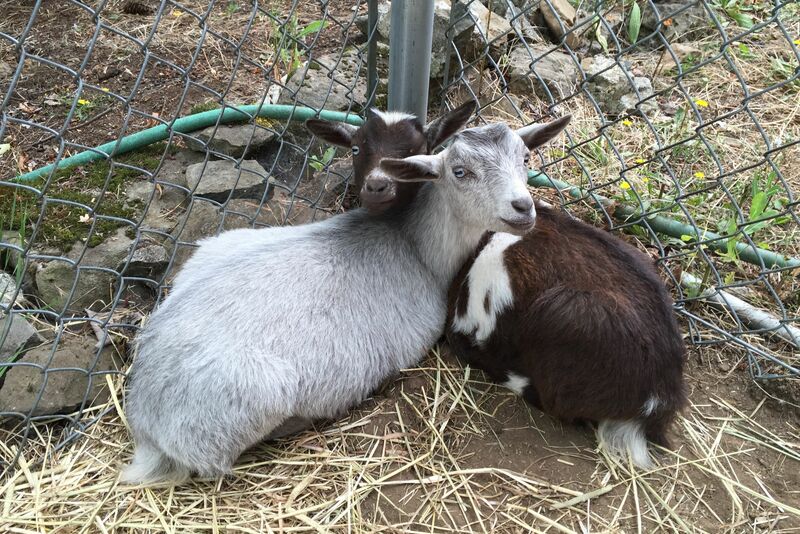 I’ve bred them not to be fussy!” says Freeman. Plant a few different varieties, including Orienpets, and you can have flowers from early June through August. I like to plant lilies either in groups of 3 to 7 - the foliage is striking in its own right when it turns butter yellow in fall - or tucked between clumps of perennials of similar height so that they look more wild-scattered. The small-statured Asiatic lilies bloom first (they are fabulous in containers), followed by the Trumpets and Aurelians in July. Orienpet hybrids blossom through July and into August and the towering Orientals flower in late July and into August. Peach Lace – A robust new Freeman Asiatic hybrid between L. 'Ariadne' and 'White Butterflies'. 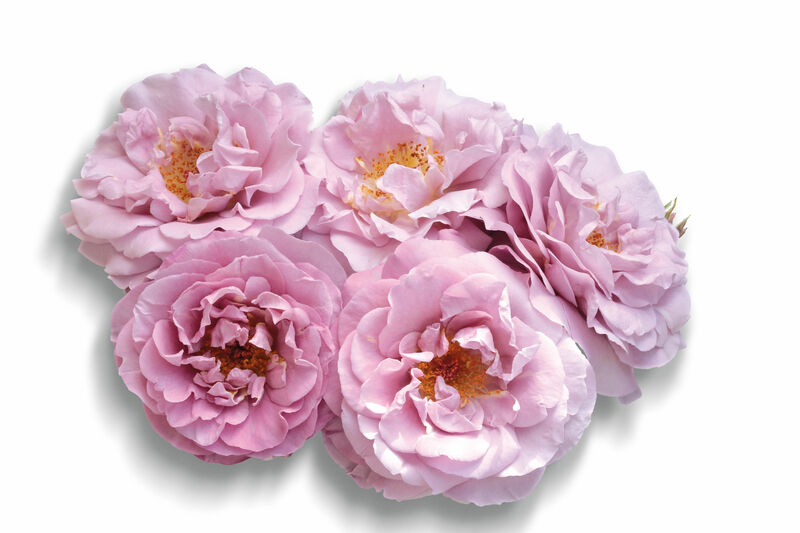 The large, fragrant, slightly ruffled flowers are a deep shade of peach with a luscious pink reverse. Flowering begins early and can last for a month. Lilies can be planted anytime from October through mid- to late April that the ground isn’t either frozen or saturated. April is a great time to plant - but the sooner, the better. Wait til May or later and you'll find your lilies are shorter than usual their first year. But they resume their normal height the following year if they receive adequate warmth and water during the growing season. Head out this weekend to Hortlandia, the Hardy Plant Society of Oregon’s spring plant sale, April 13 and 14, 2013. Join the HPSO at the sale and get $10 off membership. Then, buy some lilies: HPSO members get a 10% discount on The Lily Garden lilies. If you miss the sale, don't worry: HPSO members get 10% off at The Lily Garden for web orders year-round.